LTC Corbin and his wife, Ann, have been married for 42 years. They have three children, Dustin, Brandon (who is the Maintenance Supervisor at FMS), and Stephane. They have seven grandchildren. LTC Corbin started working for Fishburne in June of 2002 as the Quartermaster. He assumed the duties of Chief of Supply and Maintenance and commissioned as a Lieutenant Colonel in 2004. 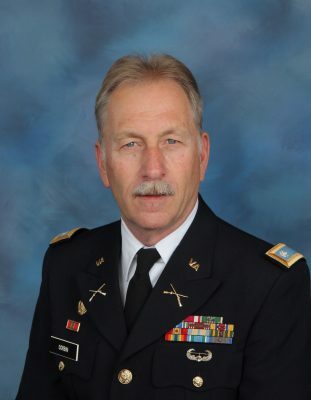 LTC Corbin then assumed the duties of Director of Operations for Fishburne Military School in 2007.